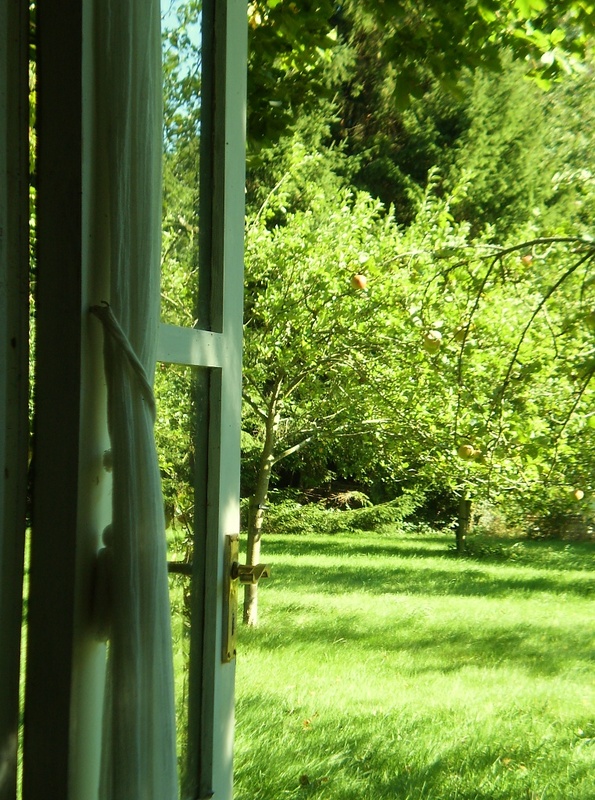 A nice sunny day so we had our lunch in the summer house, I noticed the line of shadows from the apple trees . Looks very lush and green, nice place for lunch out!! great shot, diana. the different shades of green are gorgeous. Beautiful, such lush grass & the shadows make it perfect for the theme! Beautiful, looks like spring instead of fall. Beautiful colors of green. Wow, beautifully composed, wonderful colors! Everything looks so green and beautiful. Lots of geen. I like it. Did you get apples? i wish my grass looked that green. re your comment: thank you...that is a very lovely thing to say. It looks almost like waves on the grass. Very nice - I like seeing the last apples hanging on for dear life! I think I'd love living your life! It sounds so quaint and lovely! Beautiful picture to look out upon! Diana, this is such a peaceful beautiful shot. I love all the shades of green and the shadows. what a beautiful green picture! The color is so vibrant! This looks amazing Diana. What a beautiful place. We have had non stop rain here today, I got no further than the wheelie bin today!! It looks so lush and green there!